If cats were royalty, Ragdolls would be kings and queens. 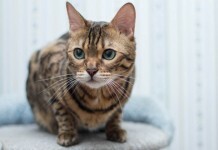 These gentle cats have better manners than most adults, and their sweet, charming personality makes them irresistible to anyone who crosses paths with them. The gentle, trusting nature of this breed is something you won’t forget. Here are 8 reasons why you will fall in love with this cute lovable animal. It’s hard not to fall in love with Ragdoll cats. This is a beautiful breed with a semi-long, luxurious coat. Most have a white or light tan coat with distinctive markings. Other Ragdolls have a similar appearance to the Siamese cat. Their eyes are a piercing blue, and they tend to be larger than the average house cat. They may shed with the changing of the seasons, but they’re a pleasure to groom. They’ll even thank you for taking the time to brush them. Ragdolls are affectionately known as “puppycats.” They love being with their human companions; greeting them at the door when they come home. A Ragdoll will follow you all over the house, sleep with you and cuddle up next to you on the sofa. Their place is wherever you are. Ragdolls are intrigued by the sound of water, and may even join you in the bathtub or shower. They’ve been known to enjoy bathing too, providing you get them accustomed to the idea early on in life. 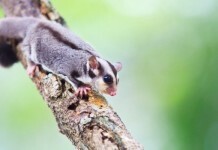 They were originally developed because of their gentle temperament. In fact, this may just be the most gentle cat breed around. When they play with their human companions, they often refrain from extending their claws. They have moderate energy levels too, so they’re not as boisterous or mischievous as other cat breeds. They are incredibly sweet and very trusting, which is why you should never leave them outdoors unsupervised. Unfortunately, it’s not uncommon for these cats to be snatched up out of yards or to get hit by cars. This breed of cat makes an excellent family pet. Because of their gentle, sweet and trusting nature, they make great companions for children of all ages. They won’t mind being carried around, petted or snuggled with. While they can be docile creatures, they still enjoy playing, and are very intelligent cats. In fact, many owners play fetch with their Ragdolls, or teach them tricks. Some can even be harness trained and walked outside on a leash. Ragdolls are also accepting of other pets in the household. They get along well with dogs and other cats as well. Many owners have two or more at home and enjoy every moment with their furry companions. One unique trait is that they love to be held. Ordinary house cats despise being picked up, held or handled in any way. These, on the other hand, seemingly collapse into the arms of anyone who holds them. They’re very trusting of people and will allow you to hold them for hours. Many owners claim that their Ragdolls demand to be held and will jump right into your arms. There’s a reason why this breed has been given the name Ragdoll. They won’t mind if you carry them around, dress them up, or push them around in a stroller. This breed is as laid back as they come, and will tolerate small children fussing over them. Just don’t let your children take advantage of their gentle nature. As with any other cat, there is only so much they can tolerate. They are, arguably, the most respectful cats around. They have nice manners, and are so easy to live with. They may remind you it’s mealtime, but in a gentle tone and only with a few “meows” here and there. Ragdolls are not known to be overly vocal, nor are they known for climbing. They prefer to stay on the sofa or the bed where their human companions are. They will play, but refrain from extending their claws. They will greet you at the door each day to say “hello” and follow you around. The Ragdoll breed is a generally healthy one, although they can develop issues with bladder stones and the heart. Cataracts can also be a problem for those that are bred by irresponsible breeders. These minor health issues aside, this breed is charming, gentle, sweet and sociable. They love to be held, adore children and can even get along well with other dogs. It’s hard to find a reason not to fall head over heels in love with this breed. 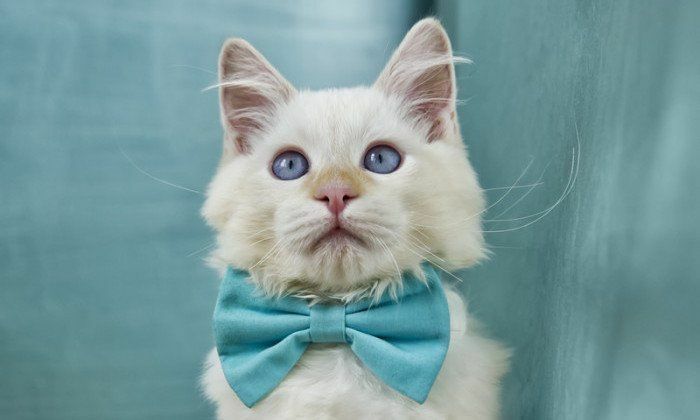 If you’re looking for a well-mannered and sweet cat, look no further than the Ragdoll.